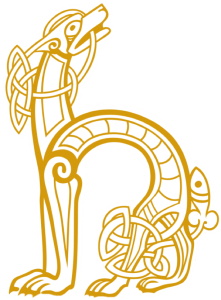 The Hibernian Law Medal is awarded annually to individuals who have made outstanding contributions, in any combination, to the advancement of justice, the integrity of the rule of law, the independence of the judiciary and the legal profession, and public access to and understanding of the legal system; whether in Ireland or in a comparable jurisdiction. 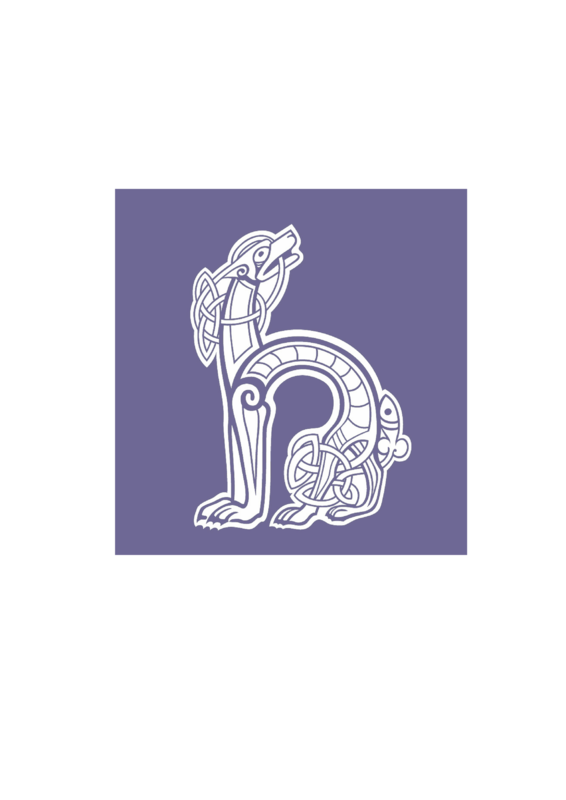 The ambition of the Hibernian Law Medal is to formally recognise individuals whose legal careers have been characterised by a profound commitment to those ideals. The second annual Hibernian Law Medal was awarded jointly to Ms Justice Catherine McGuinness, formerly of the Supreme Court, and Professor Mary McAleese, 8th President of Ireland on 29 March 2019. The Hibernian Law Medal is proudly supported by our friends at McCann FitzGerald. Born and raised in North Belfast, Mary Leneghan, as she was then known, was educated at St Dominic’s High School before going on to study law at Queen’s University Belfast, Trinity College Dublin and the Inn of Court of Northern Ireland. She was called to the Northern Irish Bar in 1974 and in 1975 was appointed Reid Professor of Law at Trinity College Dublin. In 1979 she joined RTÉ as a journalist and presenter, before returning to Queen’s University in 1987. She became the first woman to be appointed Pro-Vice-Chancellor at Queen’s University in 1994. 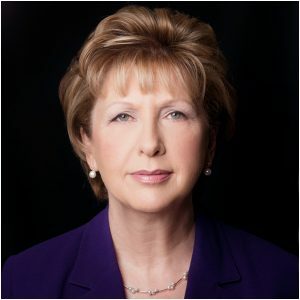 In 1997, Mary McAleese successfully contested the Irish presidential election, becoming the first person born in Northern Ireland to serve as President of Ireland and the first woman in history to succeed another woman as President. Professor McAleese adopted “building bridges” as the theme of her presidency and throughout her term she strived to promote anti-sectarianism and reconciliation in Northern Ireland. Her term spanned both the 1998 Good Friday Agreement and the successful establishment of the Northern Ireland Assembly. In March 2011, President McAleese invited Queen Elizabeth II to make a state visit to Ireland, resulting in the first state visit later that May by a British Monarch since Ireland’s independence. Professor McAleese has demonstrated an unfailing commitment to equality and social inclusion throughout her life. For decades, she has fought for the principle that love is equal and that our laws should reflect this reality, beginning as a co-founder of the Campaign for Homosexual Law Reform and later playing a pivotal role in the marriage equality referendum. Since leaving the presidency, Professor McAleese has completed a doctorate in Canon Law at the Pontifical Gregorian University in Rome and in 2018 was appointed Professor of Children, Law and Religion at the University of Glasgow. 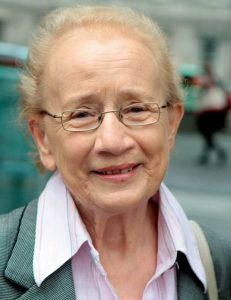 Ms Justice Catherine McGuinness served on the Supreme Court of Ireland from 2000 to 2006. Educated at Alexandra College, Trinity College Dublin and the King’s Inns, Catherine McGuiness was called to the Bar in 1987 and took silk in 1989. In 1993, she became the first woman to be appointed to the Circuit Court. She was elevated to the High Court three years later, and in 2000, was appointed to the Supreme Court, thus becoming the first person in the history of the State to progress from the Circuit Court, to the High Court, to the Supreme Court. Before beginning her judicial career, Catherine McGuinness served as a member of Seanad Éireann. In 1979 she was elected as an independent candidate in the Dublin University constituency, taking her seat in the 14th Seanad. She was subsequently re-elected on two occasions, serving until 1987. Throughout her career, Ms Justice McGuiness has dedicated herself to the promotion of equality and social justice, with a particular focus on the rights of women, children, and the underprivileged and marginalised in Irish society. Her steadfast commitment to public service and the common good is demonstrated by the number of public and charitable roles she has fulfilled with distinction during her career. Among many other roles, she has acted as President of the Law Reform Commission, Chairperson of the Forum for Peace and Reconciliation, and Chairperson of the Employment Equality Agency. She currently serves as Patron of the Irish Refugee Council. In May 2018, the inaugural Hibernian Law Medals were awarded to former President of the UK Supreme Court, Baron Neuberger of Abbotsbury; former Chief Justice of Canada, The Rt Hon. 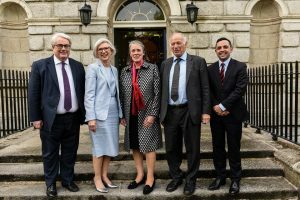 Ms Justice Beverley McLachlin; and former Chief Justice of Ireland, Ms Justice Susan Denham at a formal ceremony at the Law Society of Ireland which was chaired by Mr Justice Frank Clarke, Chief Justice of Ireland. The medal recipients delivered acceptance speeches recounting their judicial experiences, engaged in a panel discussion and answered questions from the audience. Their remarks can be read in Volume 17 of the Journal. Ms Justice Susan Denham was the 11th Chief Justice of Ireland and the first woman to hold that office. Spending twenty-five years on the Court, Ms Justice Denham is among the longest serving Supreme Court judges in the history of the Irish State, surpassed only by Mr Justice Brian Walsh and Mr Justice James Murnaghan. Educated at Alexandra College, Trinity College Dublin, Columbia University and the King’s Inns, she was called to the Bar in 1971 and took silk in 1987. She was appointed to the High Court in July 1991 and was elevated to the Supreme Court just nine months later. Ms Justice Denham has delivered leading judgments in a multitude of legal areas, in particular in constitutional, administrative and human rights law, where her judicial philosophy has been characterised by clarity of thought, principle and pragmatism. Her passion for the ideal of an independent judiciary has manifested throughout her career in her advocacy for structural improvements to the Irish legal system. The creation of a Court of Appeal with civil jurisdiction following a referendum in 2013 was consequent upon many years of campaigning by Ms Justice Denham and she was instrumental in the foundation of the Courts Service in 1999. She has long promoted the encouragement of women and disadvantaged groups to pursue careers in the law and has frequently been honoured for her efforts in that regard. 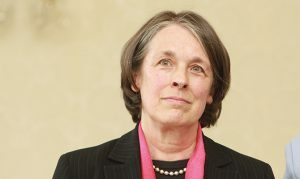 Ms Justice Denham retired from the Supreme Court of Ireland in July 2017. Lord Neuberger was the 2nd President of the Supreme Court of the United Kingdom. David Neuberger was educated at the Westminster School and read Chemistry at the University of Oxford. After a brief stint in merchant banking, he was called to the Bar by Lincoln’s Inn in 1974 and took silk in 1987. Having served as a Recorder, he was appointed to the High Court of England and Wales in 1996, where he sat in the Chancery Division. Sir David, as he then was, was elevated to the Court of Appeal and appointed to the Privy Council in 2004. He was raised to the peerage as a Lord of Appeal in Ordinary and created Baron Neuberger of Abbotsbury in 2007, becoming the youngest Law Lord. He was Master of the Rolls from 2009 until he became President of the Supreme Court in 2012. In his judgments, Lord Neuberger has distinguished himself as among the sharpest legal intellects of his generation. A proponent of the principle of parliamentary sovereignty (as it exists in the United Kingdom), he has delivered landmark decisions in important areas such as terrorism and security, surveillance and privacy, assisted suicide, and religious freedom. Lord Neuberger has long been an advocate for greater diversity in the legal profession and the judiciary. 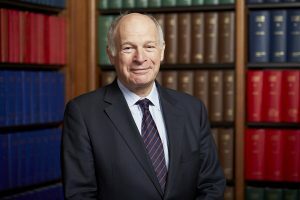 Lord Neuberger retired from the Supreme Court of the United Kingdom in July 2017, but continues to sit occasionally as a Non-Permanent Judge of the Hong Kong Court of Final Appeal. 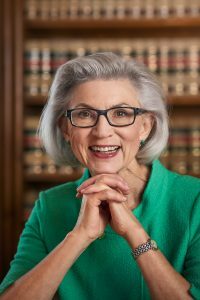 The Right Honourable Beverley McLachlin was the 17th Chief Justice of Canada. She is the longest serving Chief Justice in Canadian history and the first woman to hold that office. Educated at the University of Alberta, she earned B.A. and M.A. degrees in Philosophy before graduating top of her Law class. She was called to the Bar in 1969 and became Professor at the University of British Columbia in 1974. She was appointed to the Supreme Court of British Columbia in 1980 and became Chief Justice of that Court in 1988. She was appointed to the Supreme Court of Canada in 1989. She became Chief Justice of Canada at the turn of the new millennium in 2000. Justice McLachlin retired from the Supreme Court of Canada in December 2017.